Foodie Heaven: Kate's Berry Farm. Its pristine environment and passionate local growers and foodies make Tasmania an ideal place to hit the coastal road, where you’ll not only marvel at the scenery and the beaches but the food scene, too. Drive north from Hobart and take in the spectacular coastal views along the way before stopping for fresh berries at Kate’s Berry Farm, just three kilometres south of Swansea. Visit the pretty seaside town of Bicheno, check out the local wildlife (there are penguin tours and a wildlife sanctuary nearby) and sample the local seafood and wines. 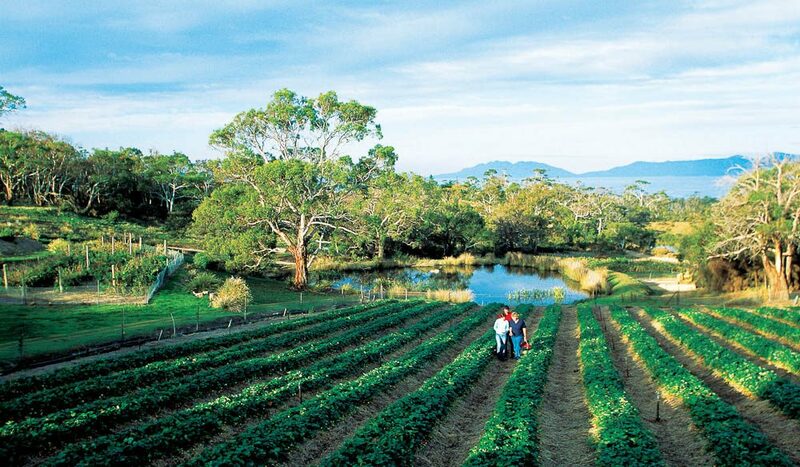 Don’t miss Coles Bay, where you can visit the Freycinet Marine Farm, which harvests local oysters and mussels daily. Explore the world-renowned beauty of the Freycinet Peninsula, including Wineglass Bay (the foodie theme runs deep here). There are many more hotspots to explore – you’re limited only by how much time you have at your disposal… and how much your bellies can handle. See discovertasmania.com for more.